The 'Llanidan' ferry began to operate from Moel-y-Don in the early 16th century, having moved a couple of miles to the NE along the coast because of problems with siltation at Llanidan. The ferry service continued until the early 20th century and was capable of carrying 15 men and 10 horses at a time. 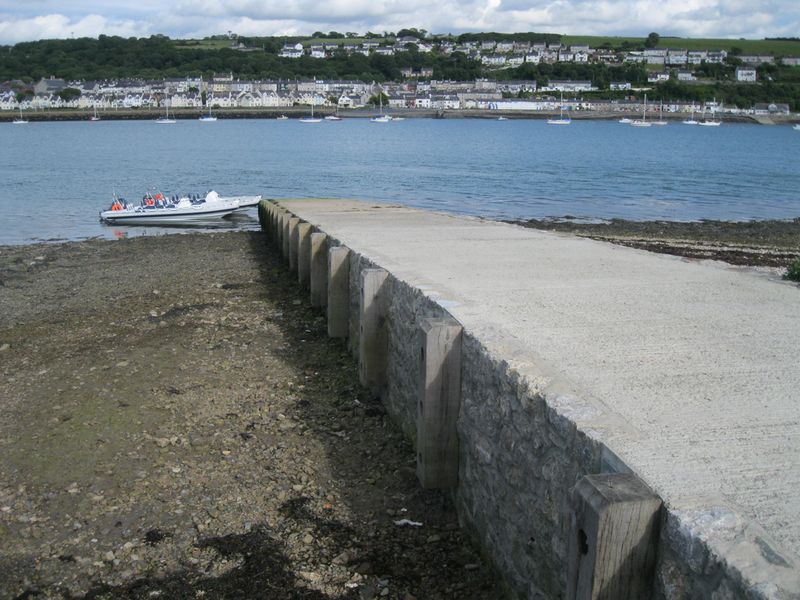 A new jetty/slipway has been built, replacing the former wooden structure. The jetty is used by RibRide, whose fast boat can be seen moored at the end of the jetty in the photo above.